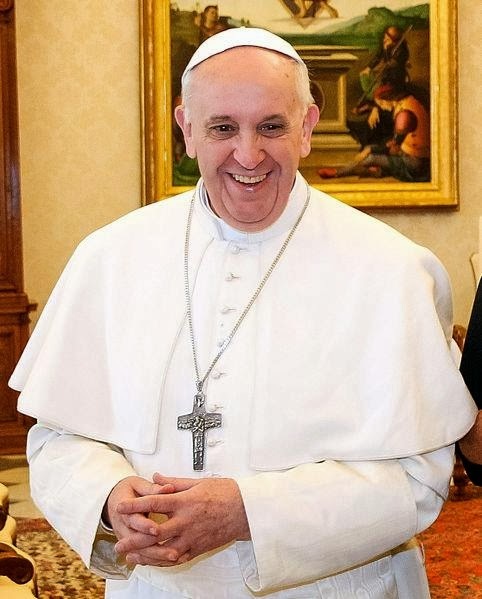 Conservative opposition to Pope Francis has been grossly overstated in the mainstream media. But there is still a lot of malaise with him, even if his pastoral approach is greatly appreciated. An important aspect of their agenda was inculcating an authentic Catholic worldview. Intellectual and knowledge-based themes were dominant during their pontificates; themes such as: the role of faith and reason, the authority of the Magisterium, opposition to relativism, etc. Conservatives believe the abandonment of orthodoxy is the reason behind the collapse of the Church in the West. But Pope Francis has put aside this question for orthodoxy. This is very disconcerting to them. During the reign of our Theological Twins,there was a gradual build up of a culture where orthodoxy was slowly but surely becoming the norm. Twenty years ago, nobody knew what the word "Magisterium" meant. Now there is a lot more deference to Catholic teaching (even if it's only lip service). For Pope Francis, dissent isn't the problem. In fact all these internecine squabbles between church camps makes the Church weaker. (He calls it "being self-referential"). For him, the decline of the Church can be traced to the lack of missionary zeal. Conservatives would concur to a degree. But whereas Conservatives would try to bring souls to Christ by spreading ideas, Pope Francis focuses on spreading the Gospel by gestures and experiences. So you bring people to Christ by listening to their stories, meeting their needs, reaffirming their value as human beings and relating it all back to Jesus Christ. Now the people who are touched by these experiences are, of course, more likely to becoming practicing Catholics, and live their lives according to the Gospel. The problem is that while souls being are won for Christ, the Church apparatus is still largely mired in dissent and shallowness. These souls may not be keep to accept culture war doctrines, and our professional Catholics are not willing to teach them. Ya see where this is going? Now you might argue that at the end of our lives, God won't test us on our theological knowledge. He cares more about our sense of charity. But how do you show charity if you don't know what charity is? How do you love God and neighbour if you do not have the Truth to guage one's actions? Catholics did not leave the Church because of lack of caring or experiences. They left because they were never taught to think like Catholics. It's all well and good to missionize, but at some point, you have to teach them content. And if we don't fix our problem with dissent, they won't get that content. The pope's approach doesn't fix that problem. I'm not unhappy with Pope Francis' new pastoral approach, insofar as he teaches me things that help me in my faith journey. I have the background to appreciate it in the light of faith. But his approach doesn't make Truth central. It makes experience central. Experience is important because that's ultimately how faith operates. Our faith isn't gnosticism where you go to heaven by knowing all these doctrines. It's put into practice through action. But with his approach, there is a danger of making experience the criteria of Truth (the very essence of modernism!) instead of making Truth the criteria of experience. There is the danger that all the effort that Popes John Paul II and Benedict XVI into reaffirming reason, faith and the Magisterium will have been for naught and in twenty years we will be back to Square One explaining to Catholics why they can't just follow their personal judgement on culture war issues. I still like Pope Francis. And I think his pastoral approach is good for me and for a lot of other people. But I think he might be overlooking some serious issues in the Church.